When assembling a binaural head, ears are needed. Its is possible to order silicone one online, usualy at a cost above 50€, but 3D printed ears can be a low cost an practical solution when a 3D printer is available. The material used with 3D printer, PLA or ABS, lack the flexibility of the silicon or natural ear tissue, but it give a decent result for the price and time involved. Recently, attempts where made at Locus Sonus to design original ears. They had to have the distinctive shape required to produce the binaural effect, like the concha, the depression in the ear that allow for vertical localisation of the sound due to a frequency cancellation effect know as the pinnal knotch. Thet also had to be neutral, not looking like they originaly belong to someone. The focus is more on the fonction of the ear than on the shape. And, they had to be 3D printing friendly. A set of ears ready for testing. 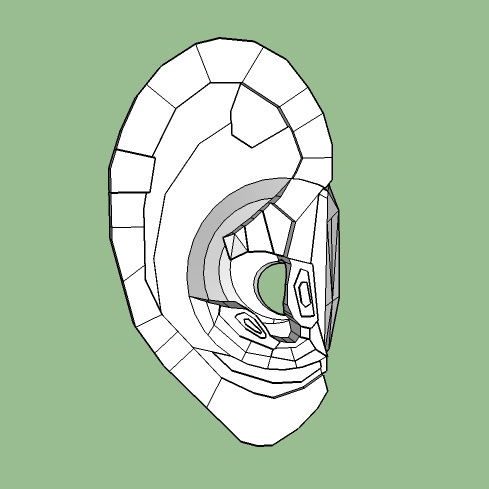 The first designed hears where sketchup modeled from pictures of an actual ear. It is a bit small, and the angle is not quite right. As a result, the binaural feeling is a bit weak. 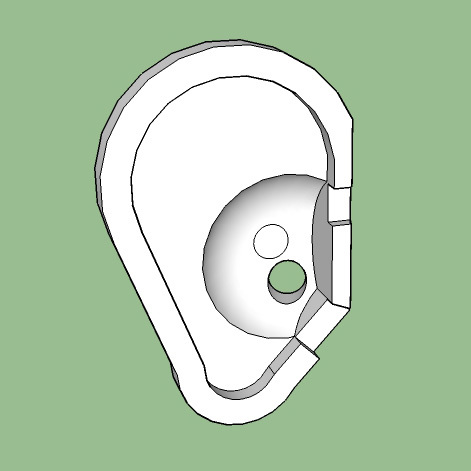 The STL file are available for right and left ear. The second attempt is more geometrical. But the general size is more acurate, and the 30° angle is right. More experimental, there is the parametric ear. 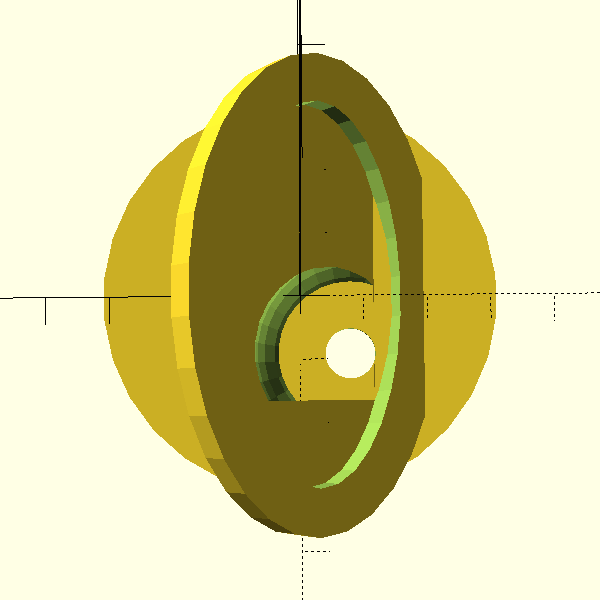 It is made using OpenScad, an open source code based 3D modeling software. The general idea is to have a fully parametrable ear. Using variables in the code, the shape of the ear can be adjusted. It is still a work in progress. Ultimatly, the parametric can be adapted to mimic every mamal ears. With the right head attached to them, it can allow the listener to experiment listening like a bat, a cat, a cow or a sperm whale. The scad file is here, as well as human sized one for right and left ears. An option in the code is provided to add a support to fit the PVC pipe binaural head.